Metin Kullanımına Yönelik Görüşleri. Electronic Turkish Studies, 8(3), 137-161. Dallas, M. E. (2012). Health Day. Overloaded Backpacks Can Injure Kids: Experts. http://consumer.healthday.com/Article.asp?AID=667521 adresinden 21.06.2013 tarihinde alınmıştır. 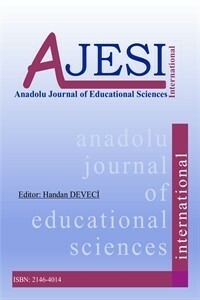 Dundar, H., & Akcayir, M. (2012). Tablet vs. Paper: The Effect on Learners' Reading Performance. Promote Group Collaboration in a Course to Prepare Future Mathematics Specialists. Technologies in Mathematics Teaching. Australian Senior Mathematics Journal, 24(1), 38-51. German Federal Government, (2007). Radiation exposure due to wireless Internet-Networks (WLAN). Frontiers in Education Conference, San Antonio, TX. Lanir, L. (2012). Decoded Science. Digital Information Overload Overwhelms and Distracts Students. students/19798 adresinden 18.06.2013 tarihinde alınmıştır. Le Ber, J., Lombardo, N., & Quilter, J. (2008). Tablet PC use enhances teaching and student learning. Science & Technology, 42(7), 939-949. Maxwell, J. A. (1996). Qualitative research design: An interpretative approach. Thousand Oaks, CA: Sage MEB (2011). Eğitimde FATİH Projesi Çalıştayı. http://fatihprojesi.meb.gov.tr/site/haberincele.php?id=12 adresinden 09.01.2013 tarihinde alınmıştır. Mendelsohn, T. (2012). education-apps-for-the-ipad-6297153.htm adresinden 19.05.2013 tarihinde alınmıştır. Mills, M. (2012). PBS. National PBS Survey Finds Teachers Want More Access to Classroom Tech. understand supporting factors. Journal of Educational Computing Research, 42(1), 79-101. Mulholland, J. B. (2011). IPads strengthen education. Government Technology, 24(4), 20-24. Ni, K. (2013). The Epoch Times. Managing the Transition to Digital Textbooks. Education, 87(1), 47-48. Toppo, G. (2012). USA TODAY. Obama wants schools to speed digital transition. Science And Technology, 42(4), 425-445.